Add and remove item line. 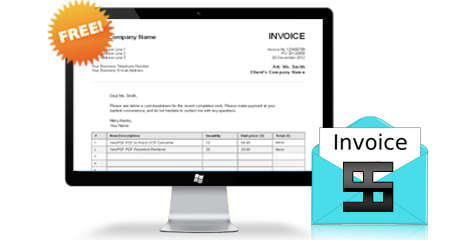 VeryPDF Free Online Invoice Maker is a free online tool for making invoices. This tool is very easy to use. You can customize any content of form fields. It can calculate subtotal prices and total prices with taxes. After completing an invoice, you can save it as PDF to your local computer or email it to your specified mailbox. Support non-IE based browsers including Mozilla Firefox, Google Chrome, Apple Safari Browser, Opera Browser, etc. Before making your invoice, you can edit the name, the address and the contact information of your company, your client's information, names of your products, the item quantity, and the prices. If the reserved rows are not enough, you can add more item rows to the table. After completing the invoice, you can save the invoice as PDF and download it to your local computer. With this free online tool, you can safely convert and save your invoice to your computer. If you will not save the created invoice to local computer, you can choose to send it to a specified email address. With this feature, you can easily create invoices for your clients anywhere, and then deal with them in your office in other time. Customize company name, address and contact. 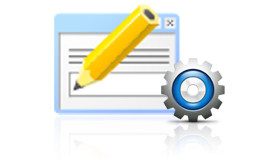 Customize client's company name and contact. Customize text body before invoice table. Customize item description, quantity and price, and calculate subtotal price automatically. Calculate total tax-including price automatically. Able to add more item rows or remove empty item rows. Save created invoice as PDF and download to local computer. Send created invoice as PDF to email.